Located in the School of Business, W.I.T., RIKON offers a range of research training and postgraduate programmes including Masters by Research, PhDs and PostDoctoral research projects. RIKON continuously seeks to increase the competitiveness and sustainability of organizations through the continuing enhancement of the interdependencies between the group’s three pillars – research, practice, and knowledge transfer/ teaching & learning in order to secure the transfer and leveraging of research output for the benefit of all stakeholders. On an annual basis WIT’s Office of Research, Innovation and Graduate invites applications for (1) funded postgraduate research projects in addition to (2) applications from industry co-fund sponsorship arrangements. Typically these initiatives are announced in May/June and close for application in August of each year. From time to time academic and sectoral agencies advertise competitive funding calls for postgraduate research scholarships and applied research. To date RIKON has secured student and tendered- project funding from the following: Fáilte Ireland, IOTI, Fullbright, NAIRTL and Royal Irish Academy. RIKON are equipped to host and facilitate research training and career development, international and intersectoral mobility, partnerships between academic and non-academic organisations, doctoral programmes, staff exchanges and outreach activities. We would welcome expressions of interest from early stage or experienced researchers of any nationality, technical staff, national/regional research mobility programmes. WIT was the first Institute of Technology in Ireland to receive the “HR Excellence in Research” designation from the European Commission. This award acknowledges WIT as a stimulating work environment for researchers, providing attractive working conditions and equipping researchers with the broad skills and experience necessary to develop their research careers. 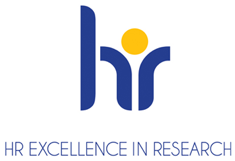 Read more about our HR Strategy for Researchers (HRS4R).